The staff at Daniel J. O’Brien & Associates has proven experience in all aspects of landscape architectural design and construction. Credibility has been established in project management and administration, environmental sciences and technology, cost estimating, scheduling, construction co-ordination and supervision. 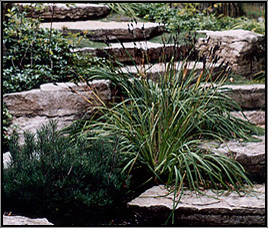 Daniel J. O’Brien & Associates is committed to providing responsive quality service in a broad range of landscape architectural assignments including waterfront development, municipal park and open space master planning, urban design, historical landscapes, environmental auditing, public and private housing, industrial and commercial site planning and residential gardens. Our company invests in the latest computer-aided design technology, which permits new dimensions in the creative process and offers a cost effective, quality product with precision accuracy to the client. In summary, Daniel J. O’Brien & Associates offers our clients a strong leadership role, providing overall direction, professional administrative ability, technical competence, detailed design and construction documentation ability, comprehensive illustration, communication and presentation skills, diplomatic, friendly, courteous and timely services with the ability to channel contentious issues to constructive conclusion. © All rights reserved. Daniel J. O'Brien & Associates Ltd. 2008.